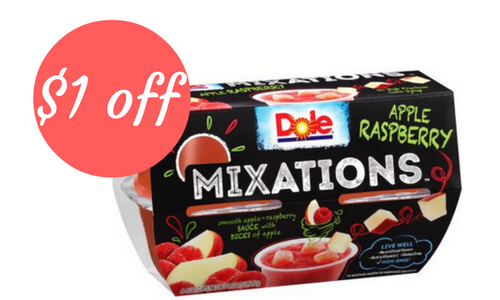 There is a new Dole coupon for $1 off Mixations that makes fruit cups $1.42 at Walmart! These fruit cups are great to have on hand for snack time or for school lunches. Don’t forget, you can print your coupon up to two times per computer.